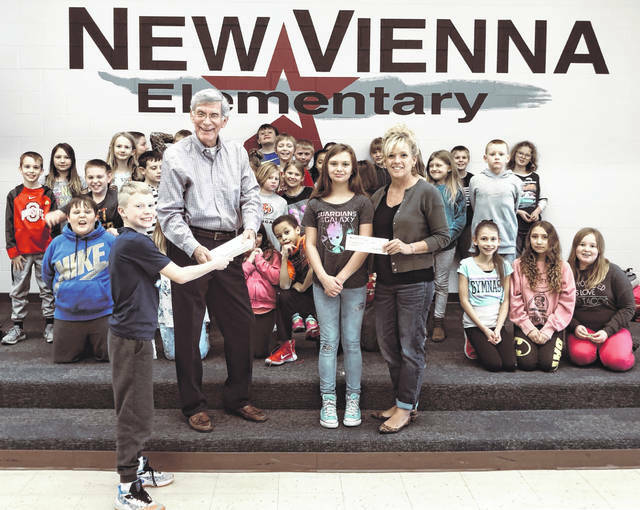 Members of the Sabina and New Vienna Elementary Schools’ Kids Care Clubs sold cutouts of military boots and of “V”s for veterans for two weeks and collected $686.30 for Honor Flight. They have been supporting Honor Flight for three years by sponsoring at least one veteran and making cards for them, also. The East Clinton Local Schools District has had veterans who have participated in an Honor Flight come and talk to the students. Club members presented checks to Fred Ertle and Jennifer Woodland.